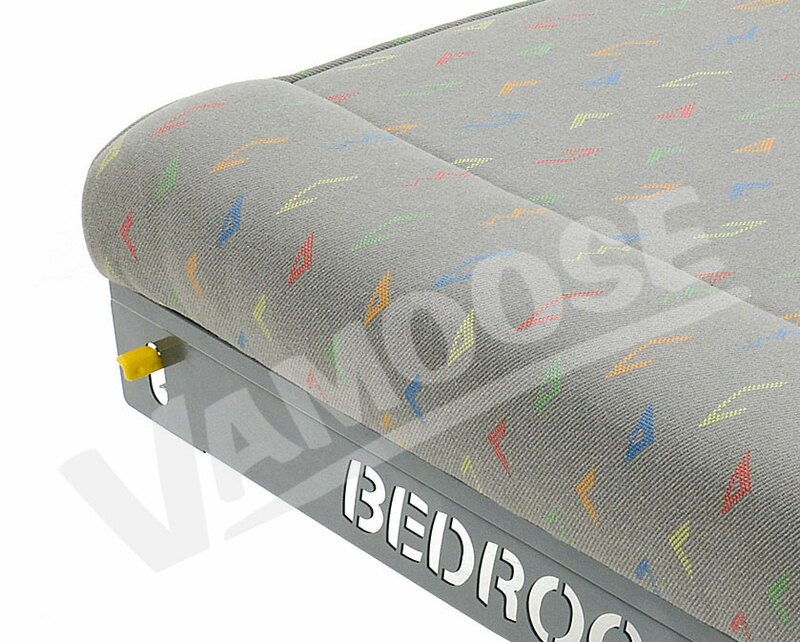 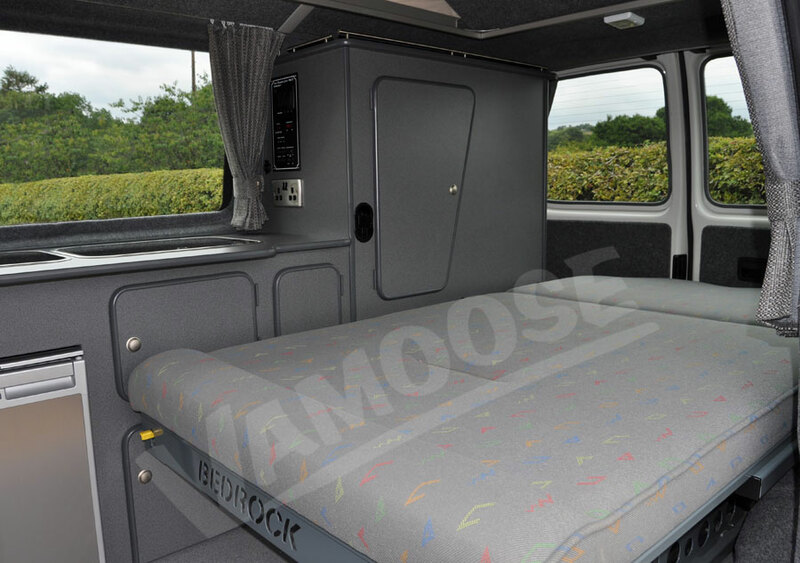 After 2 years of research and development Vamoose are proud to announce the launch of the new ‘Bedrock’ crash tested reclining van bed. 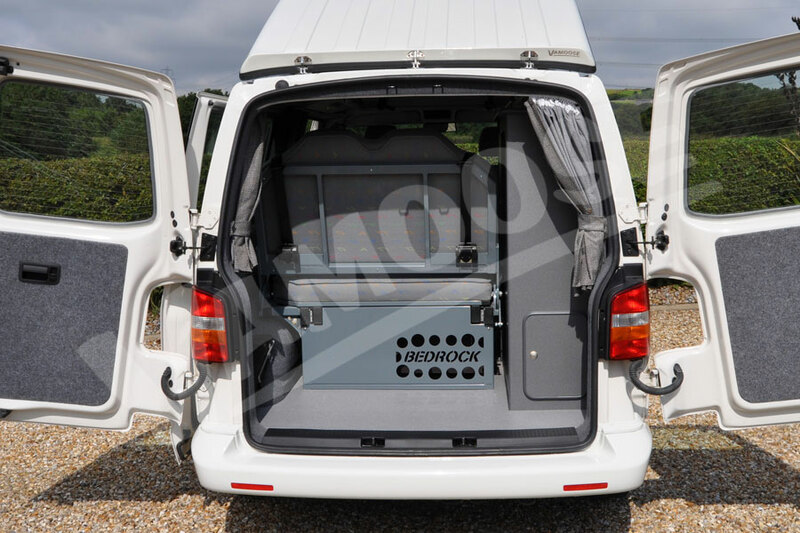 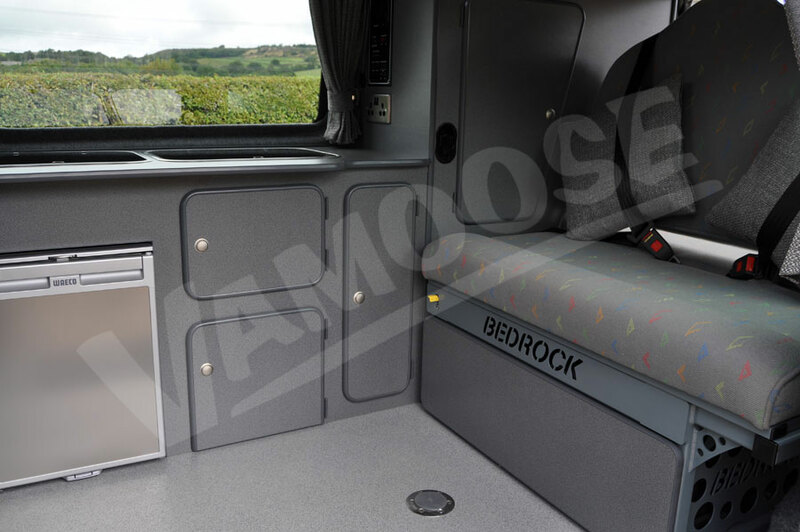 Its innovative design uses the latest technology and the finest industrial grade fittings available - there simply isn’t a better and safer reclining van bed available. 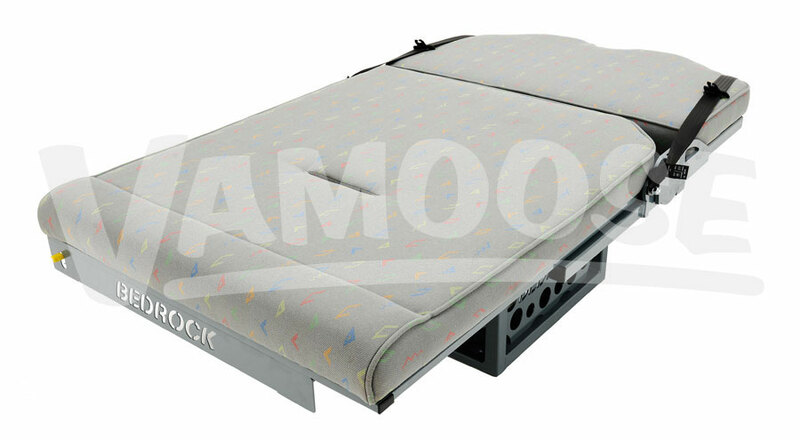 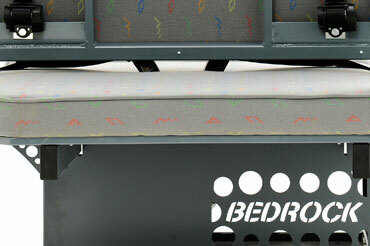 Fully certificated ¾ Bedrock reclining van bed; High density fire retardant mattress; Fully upholstered with piped edges in Inca T4, T5 or T6 or Place; Integral Securon 3 point seatbelts; Integral headrests ; Hydraulic reclining adjustment with furniture mounted activator; Full laser cut and powder coated under chassis bracing; All high tensile steel Nyloc fixings. 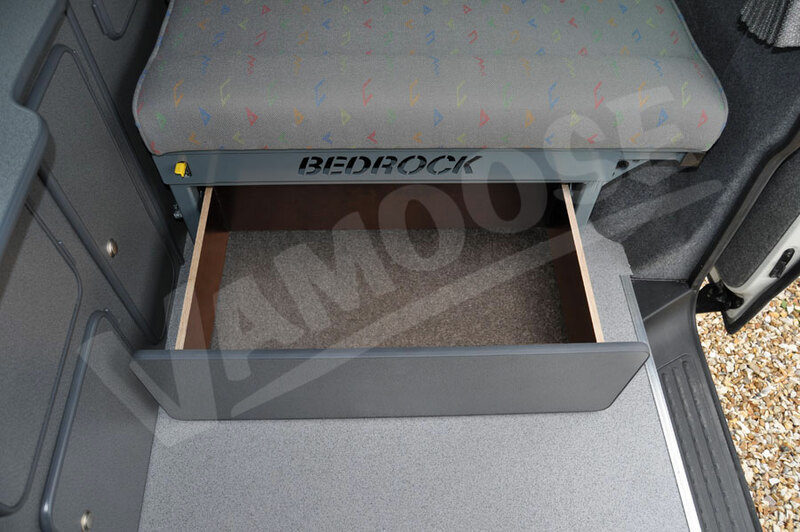 Optional features include our one-touch drawer system and, if you prefer to use your own fabric,an unupholsetered version is available. 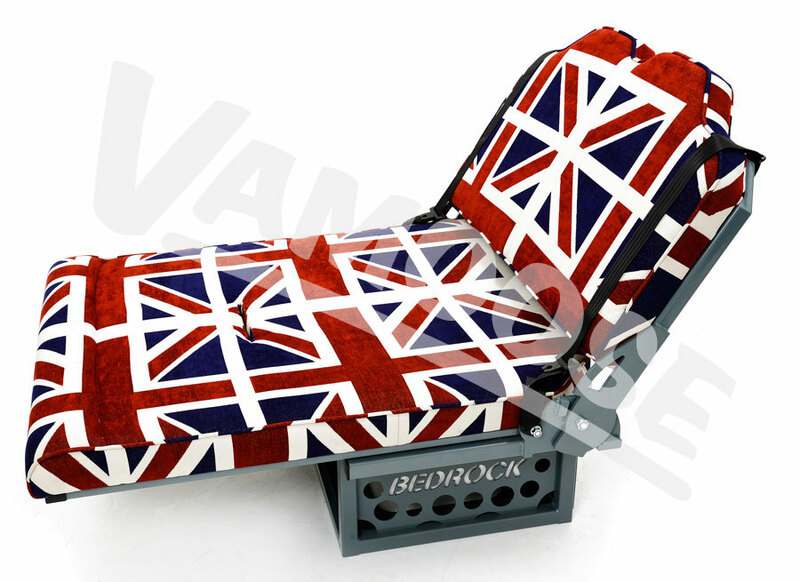 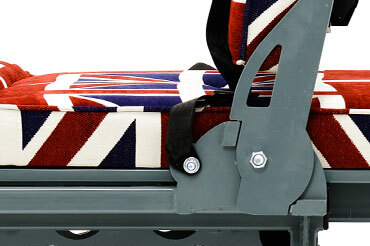 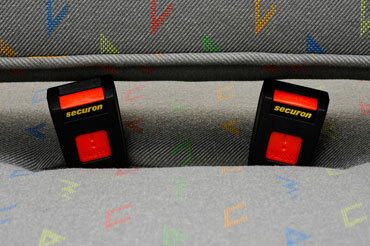 The Bedrock Van Bed is the only rock'n'roll style bed to pass both the seat belt and crash tests first time! 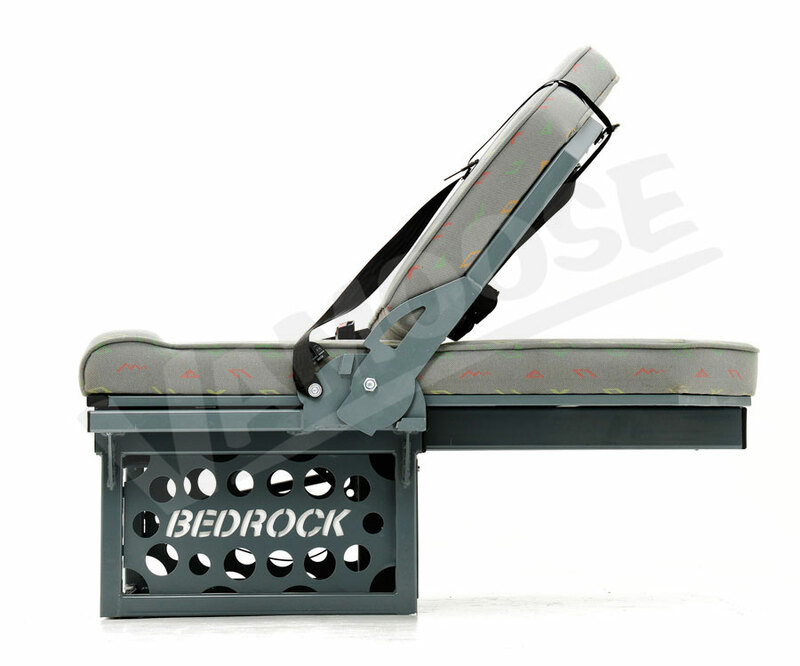 Visit the Bedrock site to read more and see video of the tests!